I rarely find any business books that interest me. I only had one, The Art and Science of Competencies which I still yet to get a copy, and now here's another which I just found out about today. 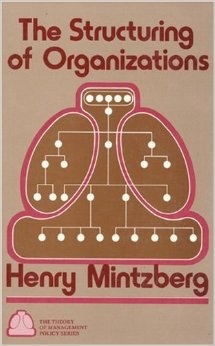 It's a book published in 1979 by Henry Mintzberg, The Structuring of Organizations. I can't find an ebook version of it. It's being crazily priced at USD186.49 in Amazon. A better option would be to get it second hand in Abebooks.com, except the price is still pretty up there for a used copy.